Jaspal Bajaj has 20 years of finance, compliance, fund operations and accounting experience across the financial services industry including private equity, fund of funds, fund services and structured products. Prior to joining Star Mountain, Mr. Bajaj held several senior finance and operations positions including serving as the CFO at Manfra, Tordella & Brookes a $1bn precious metals trader in New York City where he successfully lead restructuring efforts in response to Hurricane Sandy. Mr. Bajaj has also served as the Senior Vice President of Finance & Operations at CAIS a $3bn alternative investment platform for fund of funds, private equity, and structured products where he led the launch of over 20 US and Cayman domiciled fund vehicles. 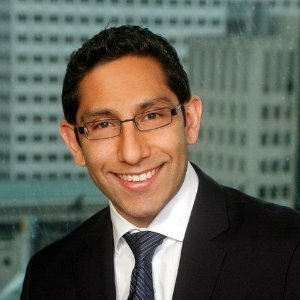 Prior to this, Mr. Bajaj was at UBS Global Asset Management (Fund Services) in both the Grand Cayman and Toronto as an Associate Director where he was responsible for a $6bn fund of hedge funds relationship – the largest in the group – and a multitude of other single fund and fund of hedge funds manager relationships across Europe, Canada and the United States. Earlier in his career Mr. Bajaj lead engagements as part of the Assurance group of PriceWaterhouseCoopers focusing on Financial services clients with a focus on hedge funds and mutual funds. Mr. Bajaj holds a CPA, CA (Ontario) and earned a Master of Accounting & Bachelors of Arts, Honors Chartered Accounting Studies – Co-operative Program from the University of Waterloo in Canada.